PHILADELPHIA, PA -- A Philadelphia meteorologist rescued a baby owl after a chance encounter Monday morning. 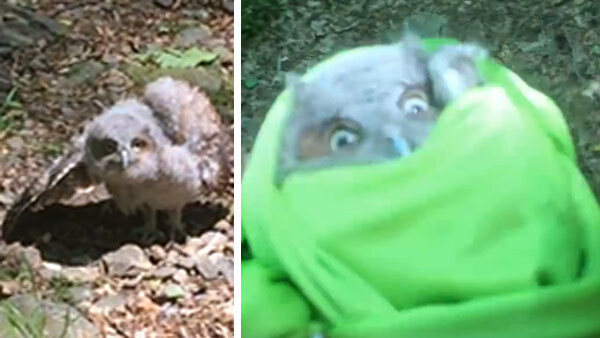 In a post on her Facebook page, WPVI-TV's meteorologist Cecily Tynan writes that she was out for a trail run when she came across the baby owl. Cecily posted video of the owl, which was clearly in distress. In the next video, she managed to pick up the owl and was on her way to the Schuylkill Wildlife Center. In a Facebook Live video later in the day, Cecily updates that the owl is doing well at the Schuylkill Wildlife Center. The Center told her the owl was not injured, but was very dehydrated. The owl was given fluids and is now with other baby owls. The baby owl should be released back into the wild in August.